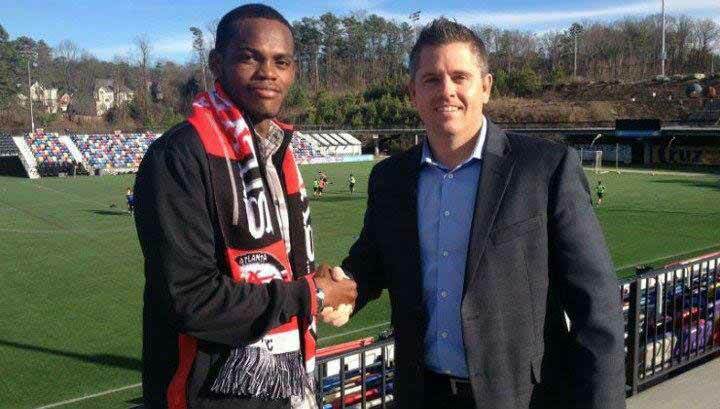 The Atlanta Silverbacks signed 26-year-old forward Deon McCaulay from Belize's Belmopan Bandits. He had scored 11 goals in eight matches for Belize in World Cup 2014 qualifying to tie Dutch star Robin Van Persie and Uruguayan Luis Suarez for the most goals in the 2014 qualifying campaign. "I've had my eye on Deon for a long time, and I got a chance to see him up close at last year's Gold Cup. His talent, speed, explosiveness, and knack for scoring goals is exactly what our team needs," said Silverbacks technical director Eric Wynalda. "After the departure of many of our top attacking players from last season, there were some question marks as to how we would replenish the offense. Those questions have been answered in the form of Deon McCaulay, and we couldn't be more thrilled to have him." McCaulay also played in Belize for Kremandala, FC Belize, Belize Defence Force, and R.G. City Boys United and in Honduras with Deportes Savio. Only three players in the entire world scored 11 goals during the qualifying rounds for the 2014 FIFA World Cup, and the NASL’s Atlanta Silverbacks have signed one of them. Belize national team forward Deon McCaulay equaled the goal-scoring totals of strikers Robin Van Persie of Netherlands and Uruguayan Luis Suarez during the last qualifying cycle, and now he is bringing his talents to Atlanta, the Silverbacks announced Tuesday, pending ITC approval. The 26-year-old caught fire during the opening rounds of 2014 World Cup qualifying, scoring 11 goals in just eight games. Although Belize was unable to book their place in Brazil, the exploits of McCaulay didn’t go unnoticed. McCaulay joins the Silverbacks from the Belmopan Bandits of the Premier League of Belize. 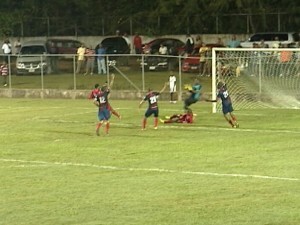 The Bandits were the fifth Belizean club that McCaulay has played for in his career, joining Kremandala, FC Belize, Belize Defence Force, and R.G. City Boys United. The 5-foot-9 forward has also played professionally in Honduras with Deportes Savio. 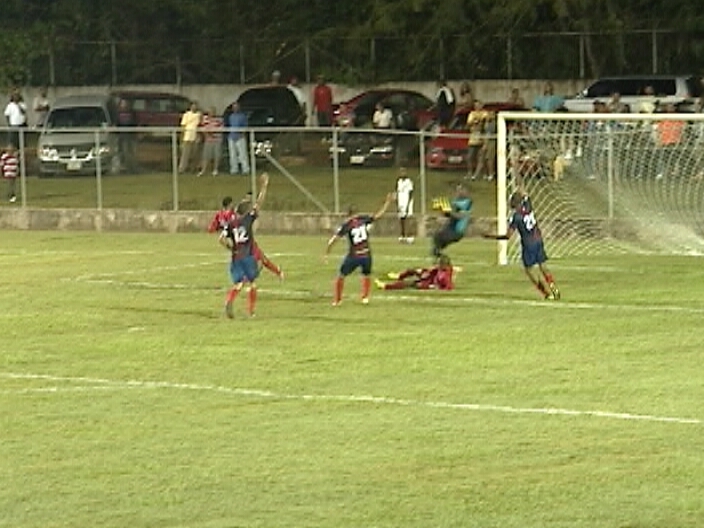 A native of the country’s most populous city, Belize City, McCaulay is the national team’s all-time leading scorer. He has tallied 16 goals in 28 appearances for Belize, with 13 of those coming in World Cup qualifiers. McCaulay started and played 90 minutes in Belize’s loss to the United States in the 2013 CONCACAF Gold Cup. Before the 2013 Gold Cup, McCaulay spent time training with the Portland Timbers of Major League Soccer during their preseason camp. The prolific forward’s move to the Silverbacks marks the first time he will play professionally in the U.S.
McCaulay arrived in Atlanta on Sunday, and he will begin training with his teammates when the Silverbacks’ preseason begins this Saturday. 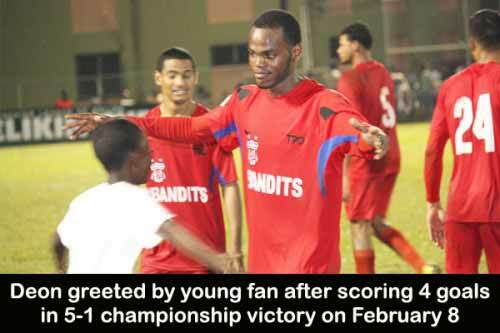 While the Belmopan Bandits, the Football Federation of Belize and his teammates on the Belize National Selection celebrate the success of one of their own, Deon’s father, David ‘Manu’ McCauley, himself an established local athlete, says that accomplishment is a mere stepping stone in his son’s career. According to Manu, Deon is destined for the largest stage in world soccer. McCauley commences training with the Atlanta Silverbacks on Saturday. There is no schedule as yet when his first game with the team will be played. A very concerned father, David “Manu” McCaulay visited our sports desk this afternoon. Amid all the hoopla and celebration with reports of his son, Deon McCaulay’s signing a contract with the Atlanta Silverbacks in the North American Soccer League (NASL), there is still a major hurdle that has not yet been crossed; and it is causing a lot of stress and anxiety for Manu and other members of Deon’s family, said his dad. Following FIFA international player transfer requirements, the Belmopan Bandits would have to first sign official release forms before Deon’s transfer to the Atlanta Silverbacks can be legitimized and he can be allowed to perform in their League. Deon is not asking a lot of the Atlanta Silverbacks; he just wants a break on the American football stage to prove what he is capable of. Then, he can go back to the bargaining table; his contract is for one year only with the Silverbacks. But Belmopan Bandits owner Hon. John Saldivar already has a signed contract with Deon, which expires at the end of the PLB 2013-2014 season, whose Closing Season starts next week and ends before May 18. Saldivar has paid Deon for playing with the Bandits in the PLB Opening Season; and Deon has “delivered the goods.” The Silverbacks would now also like some help from Deon; and they are potentially Deon’s window to a bright future in international football. The whole of Belize is praying, along with Deon’s father and the rest of his family, that what could be a real leap onto the world stage for Belizean football, is not stymied by a breakdown of negotiations between the Silverbacks owner and our own Belmopan Bandits owner, Hon. John Saldivar. Saldivar has certainly been involved in a lot of sports across the Jewel, sponsoring dominoes teams, billiards tournaments, and now in football he has reached the pinnacle with the national championship of the Belmopan Bandits. Early reports were that Deon’s foreign agent had approached the Bandits for a simple “hand shake” release from their contract with Deon, purportedly “in the national interest;” but the Bandits ownership was reportedly insulted by the offer, and preferred to talk directly with the Silverbacks ownership. This is the second time that Deon’s agent has come up short in his arrangements for Deon’s transfer. He had failed to make proper visa arrangements for Deon’s trip to Greece last year. According to our reports this afternoon, the Silverbacks representative has been trying to contact Saldivar by phone today, but to no avail, as Saldivar has been in Cabinet and other meetings. Subsequently, Deon has provided the Silverbacks’ phone number to Bandits manager Kenneth Budna for passing on to Hon. John Saldivar. Tonight, we spoke to FFB President, Ruperto Vicente, and he said he had explained to Deon already that, despite what his agent might have told him, it is absolutely necessary that the two clubs come to an agreement for his release from the Bandits contract, before the FFB can facilitate the official transfer to the Silverbacks. There are FIFA rules that must apply, he said, and he will do his best to encourage that conversation between the Silverbacks and the Bandits owner tomorrow morning, and hope that an agreement can be reached; but it is out of his hands. As we go to press tonight, that is where the position stands, and the window of time is closing fast for the transfer/release documents to be exchanged between the Bandits and the Silverbacks, in time to meet the Silverbacks’ NASL transfer deadline of Saturday, March 1. Manu’s worry is that negotiations might not conclude soon enough between Saldivar and the Silverbacks. Minister John Saldivar may be playing hardball with the Silverbacks people; but on the home front, fans see him as having Deon’s future in the balance. Tomorrow, it will be decided. The Belmopan Bandits FC takes this opportunity to state its official position with respect to the international transfer of Deon McCauley who is under contract with the Belmopan Bandits FC until the end of July 2014. First to clarify that under FIFA rules, any club (the interested club) that is interested in acquiring the services of a player who is under contract with another club (the original club), must contact and negotiate with the original club holding such contract for the player of interest. The interested club must also disclose the terms and conditions of any contract it wishes to sign with the player of interest and must lodge a copy of that contract with the Federation of the original club. The first effort by the interested club Atlanta Silverbacks to contact Bandits FC was on Thursday February 28, 2014 with the first contact eventually being made this morning with Bandits FC Manager Kenneth Budna. This being several days after the interested club had gone ahead and signed a contract with Deon McCauley. This is a clear violation of FIFA rules for which the Atlanta Silverbacks could be sanctioned by FIFA at the request of the Football Federation of Belize on behalf of Bandits FC. Prior to this initial contact, word had reached the management of Bandits FC of the possible departure of Deon McCauley, hence Bandits FC manager Kenneth Budna attempted to get the details of the pending contract from Deon McCauley who flatly refused to discuss the matter stating that it was not the business of Bandits FC. This of course, is contrary to FIFA regulations which Deon McCauley should have been fully aware of because this was the second time that he was attempting to talk to an international club without the input of his original club with whom he had a contract, and he had been fully apprised of the rules by the FBB on the first occasion when he was attempting to sign with a European Club. Instead of putting Bandits FC in touch with the interested club for proper discussions to take place, Deon McCauley demanded his immediate, unconditional release from the Bandits FC even though there was still over five months remaining on his contract and the new season was about to commence. The management of Bandits FC could not agree to his unconditional release and informed Deon McCauley of this prior to his leaving the country. McCauley then left the country fully aware that he was still under contract with Bandits FC and proceeded to sign a contract with Atlanta Silverbacks. He has now resorted to all sorts of tactics to try to put public pressure force the management of Bandits FC to sign is release unconditional and free of cost. Bandits FC has never disclosed any amount of cash it would like to get from the interested club because we have never, prior to today, spoken to the interested club. Bandits FC is also aware that such cash payment could only be discussed in the context of expenses which the Bandits FC can produce with respect to Deon McCauley, the length of time remaining on his contract with Bandits FC, the effect that the release of Deon McCauley would have on the Bandits FC, and the terms and conditions of the proposed contract with the interested club. We repeat that Bandits FC has never, prior to today, spoken to Atlanta Silverbacks, hence no discussion about compensation has taken place. The position of the Bandits FC is very simple. We are prepared to overlook all the rules that have not been followed by Deon McCauley and his interested club, provided that the terms of the proposed contract with Deon McCauley are disclosed to the Bandits FC and the interested club is prepared to discuss the expenses which the Bandits FC can produce with respect to Deon McCauley, the length of time remaining on his contract with Bandits FC, the effect that the release of Deon McCauley would have on the Bandits FC. These are standard considerations in any negotiation for the international transfer of a player and should not be bypassed or ignored simply because we want a player to get an opportunity to play in America. If we allow Deon McCauley to walk away from his contract with Bandits FC and allow Atlanta Silverbacks to bypass, disrespect and ignore the original club that holds a contract for the player, we will be setting a bad precedent for other clubs including amateur clubs in Belize to be similarly bypassed, disrespected, and ignored by foreign clubs and by our local players who want to play for these foreign clubs. We close by saying that we have always had the interest of all our players at heart. In fact when Deon McCauley signed with Bandits FC last year and even before he played a single game for the Bandits FC he received an injury during a National Team Practice. Deon was cut from the National Team due to that injury and it was the Bandits FC that placed him in therapy and paid for his recovery in time for the Gold Cup. We await word from the Atlanta Silverbacks. Earlier this week, we told you the good news about Deon Mcauley. Belize's premier striker had signed a contract with the Atlanta Silverbacks, a second division professional football team in the US. But, he might not get to play there after all. And that's because his team in Belize, the Belmopan Bandits don't want to release him - not without getting paid, that is. We contacted McAuley at his hotel in Atlanta today and he told us the Bandits want $10,000 US for his release:..
"How much is the Bandits asking for, for your release?" "Well, right now they are asking for US$10,000 - that is where we stand with that. But now the situation is that they want to put me on loan to this team and the thing is about it I sign my contract with Bandits in March of last year, so now the season had already started about 3 weeks and now they are showing me a contract that says June 29th - that has to be a bogus contract. I should be release at the end of February. This is nothing new to the managers and owners of the Bandits. Nobody is not making money off of this deal; even I am not making any money off this deal. But they feel like they invested so much in me that I suppose to give them the opportunity to negotiate for me and say we want this amount of your money. At the end of the day I might end up right back in Belize - this is where these people wants to see me - in Belize with them because it looks like it is hurting them that I am out here and they feel like I am making the world of money or something that they can't give me what I am asking them for." "How do you see this playing out in the next few days?" "I don't know. It looks like Bandits is sticking to what they feel is right, so at the end of the day I don't know how to say that it will play out. The thing is about everything is that I don't want to mess up the opportunity that I have because of a club in Belize that can't offer me nothing. All my like I've been growing up and nobody have really taken interest in me. Now this is the first time that I really get a move and then they are trying to hold me back, so I'll leave that to God." "I've been playing football all my life and to get an opportunity like this is one in a lifetime. They barely look for players from Belize and now that a player is out here and trying to get everything situated and trying to make Belize on a whole look good in the football world, but the thing is about is that I have put Belize on the map countless times and these people are trying to take that away from me. I really feel that I am being punk because of money and somebody else's selfish greed." The owner of the Bandits Club, John Saldivar for comment did not respond to our requests for comment. The Silverbacks pre-season starts tomorrow and the regular season starts in early April. Many congratulations have gone out to Deon McCauly over his opportunity to play with the Atlanta Silverbacks but there is trouble afoot. “I called you on last week Thursday and I explained to Deon: “you have a contract with Bandits which expires in July of this year and the very fact that you are registered with the Belmopan Bandits is a form of contract in itself. So, you just cannot walk out of your contract because that’s a no, no, because you will not be allowed to play in any other country. If you walk out of the country, what you need to do, if you travel to the United States, is to have the team that you are going to, make contacts with Bandits and have them negotiate your contract; that is normal in football”. But he did not do that. So, the Federation cannot do anything. 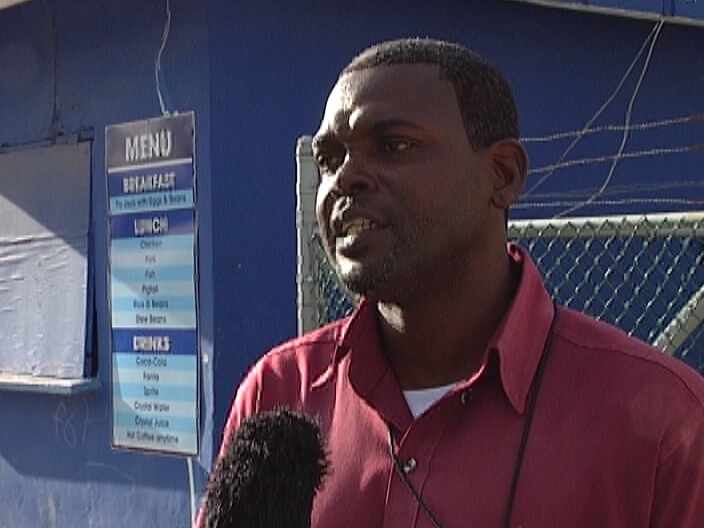 We cannot release Deon because Bandits would have to give us the green light”. The Bandits Football Sporting Club, with which McCaulrey has a contract, is owned by Minister John Saldivar. He also called in to the talk show to address the issue. “Because we did not know the terms and conditions under which he contracted by the International Club in the U.S., we said we can give you for free on loan to that club, so that you can pick. Bear in mind, I only have a contract with Deon for the next few months until July; Deon has certain option open to him. He can wait until my contract with him expires or he can come to terms with me. So, my management has said to him, we will give you free as a loan. That is two ways that you can play with a club; you can either be released free on American nationalities to the club for any financial remuneration or you can be loaned to the club. From the outset, McCaley has known that I am fully prepared to loan him to any club that is interested in him for free. He refused that offer. According to my manager, he said he wanted a free release, no conditions; he wanted his release”. “Tudeh, I have medical tudeh, I have physical tudeh. Tomorrow the pre season dih staat. You now wa lat dih happen right now and I really want to get this off from my head”Reporter: “You sohng very frustrated, Deon”. Mr. Deon McCauley: “Yeah, I am very frustrated because dem pipl no nuo dih struggle that I have been chru eenah life you know? All dehn yeaz dat I dih play football, e haad fih nuo dat pipl try fuh hold me bac or pipl no wa see me flourish. At the enda dih day, dehn no even contribute to my development eenah dis game, but yet, dehn cud ask you so much money for me. Dat mek me feel bad. At the eda dih day, dis canchuac weh I deh pahn righ now, have nottn fih do ‘it no money. I just com outya becaz, you nuo da wa appachunitti fih me and fih my conchui, but dehn no dih see it like dat, buo, deh wa’ a mek deh money. At the enda dih day, any minnit, if you nuo dat Bandits dih try hold me when I try gae ah releez, dehn cud tear up my canchuac and sen me bac home, simpl as dat”. “The position of the Bandits FC is very simple. We are prepared to overlook all the rules that have not been followed by Deon McCauley and his interested club, provided that the terms of the proposed contract with Deon McCauley are disclosed to the Bandits FC and the interested club is prepared to discuss the expenses which the Bandits FC can produce with respect to Deon McCauley, the length of time remaining on his contract with Bandits FC, the effect that the release of Deon McCauley would have on the Bandits FC. 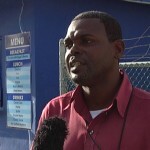 Yesterday, Love News Centre did an interview with the father of the football superstar, Deon McCauley who had informed us that while they are ecstatic about his son’s recent contract with the Atlanta Silverbacks, they were having some difficulties with the management of the Belmopan Bandits, who did not want to release McCauley from his football contract. Well, earlier today we were informed via a release that the Belmopan Bandits Football Club has officially released McCauley to the Atlanta Silverbacks at no cost to any of the parties involved. The release added that while they had requested a transfer fee of four thousand US dollars, their request was not met as the US football team was not made aware of an existing contract that the Belize club had with McCauley. The document further stated that while they would have been within their legal right to deny the release, they have decided to grant it as they do see it as an opportunity for McCauley and a move that the nation would support. In ending, the management of the football club stated, “…we trust that the public is now sufficiently informed about the processes and protocols of football and will not endorse a repeat of this type of behavior by a player or a foreign club. The Management of the Belmopan Bandits Football Club hereby announces that Deon McCauley has been officially released to the Atlanta Silverbacks at no cost to any of the parties involved. We had requested a small transfer fee of US$4,000 which we considered more than reasonable but it appears that because the Atlanta Silverbacks were not informed of the existence of a contract at the time of their signing of Deon McCauley, and because Deon McCauley continues to deny to them the existence of such a contract, they were not prepared to meet the request of the Belmopan Bandits FC. The Belmopan Bandits FC would have therefore been within its legal rights as recognized by the Football Federation of Belize, who are aware of the contract and its legitimacy, to refuse to grant the release since this unfortunate situation was entirely the making of Deon McCauley. However, it is clear that the entire Nation of Belize would like to see Deon get this opportunity despite his mistakes and bad judgment. So, in spite of all that has been said to malign the management of the Belmopan Bandits FC, we hold no malice towards Deon McCauley and have given him his release to the Atlanta Silverbacks. We trust that the public is now sufficiently informed about the processes and protocols of football and will not endorse a repeat of this type of behavior by a player or a foreign club. We wish Deon well with his new team as we all cheer him on for the love of football, and the love of country.